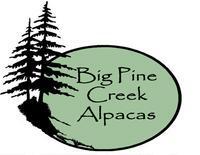 Big Pine Creek Alpacas is a farm located in Pine Village, Indiana owned by Sharon and Jay Cocanower. We are proud to welcome Totora to our herdshire list. Totora has been on the west coast winning 8 championship awards and has been producing award winning offspring. We are now scheduling breedings for the spring and fall. Don't miss out on some new genetics to the midwest! Our farm is located on Big Pine Creek near Pine Village, IN, which is about 20 miles west of West Lafayette, IN, the home of Purdue University. It is an exciting adventure working with both suri's and huacaya's. We are striving to breed for the best we can with great temperaments and genetics. Our alpacas are all ARI registered. We continue to add new and respected bloodlines to our breeding program to try to improve the genetic strengths of the alpaca breed. Our dams and sires were selected for attributes we want to reproduce, such as crimp, density, friendly disposition, with good conformation. Our farm is small and we are breeding only a few dams each season. 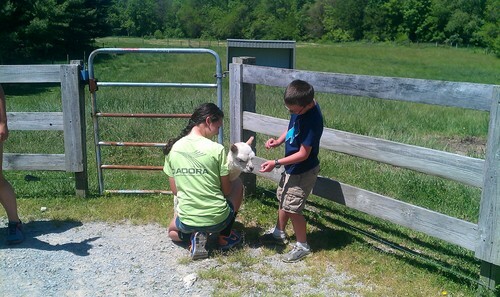 Our alpacas are handled daily. They are all vaccinated and wormed on a regular basis and get good hoof and dental care. 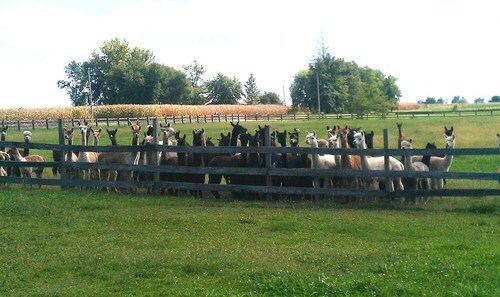 We would love to have you visit our farm and meet our alpacas. Our prices are reasonable. 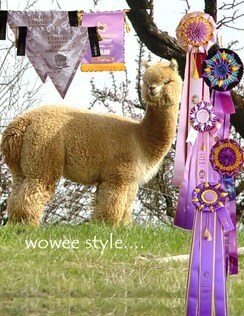 We want you to find the perfect show alpaca, breeding alpaca or pet. Don't hesitate to contact us. We welcome your visit.